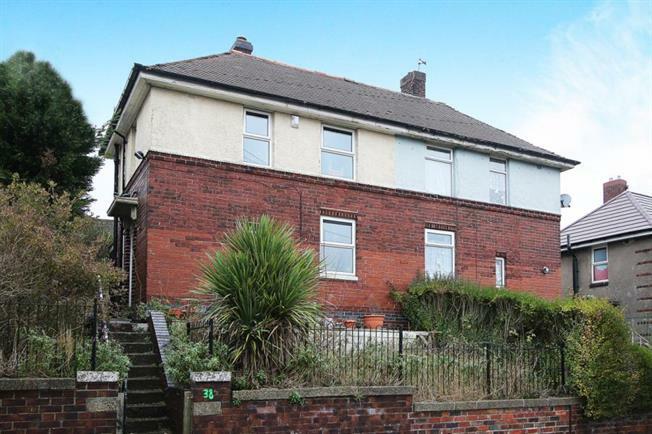 2 Bedroom Semi Detached House For Sale in Sheffield for Asking Price £75,000. Offered for sale is this elevated two bedroom semi detached property with gardens to both sides. The property offers gas central heating and double glazing, accommodation comprises entrance hallway, lounge, kitchen, two bedrooms and shower room. Situated close to local schools and parks and all viewing is strictly via the agent.